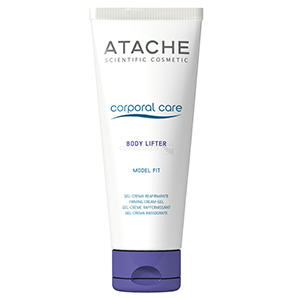 Corporal Care Body Lifting Model Fit 6.76 fl. oz. An ultra-firming corporal formula, "Sculptured Figure Effect", based on the latest technology and the most advanced ingredients, working together to offer you firmer, more elastic and better toned skin. Rapidly absorbed light texture with a light scent. Day after day, the powerful ingredients will offer visible improvements to your skin's texture, firming and moisturizing at the sme time. It remodels the figure with visible results: a smoother, firmer, better defined figure. Your skin looks tighter and incredibly silky.